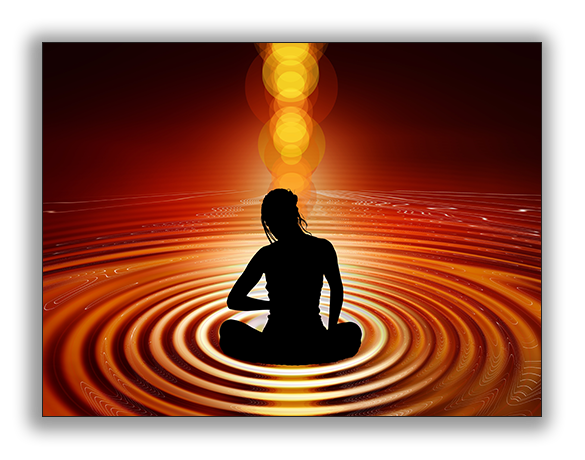 Energy healing with chi or prana strengthens and further potentiates all other holistic based modalities. For this reason, chi is an essential element in all therapies at Buddha’s Alchemy. Chi is a biomagnetic energy that flows through all living things. It is a life animating energy that does not exist in life forms that have died. While Jing is an energy that sustains form, including inanimate form, chi is an energy that sustains life. In Kirlian photography, we can see chi surrounding living forms. Chi draws vital energy to where it is depleted and most needed, and raises the energy threshold of depleted or damaged tissues. Chi restores energy flow from healthy tissues to tissues damaged due to injury or illness. Chi reinstigates normal celluar function through cell revitalization, and replaces aberrant tissue forms. Shen is mind force energy, and has the capacity to direct chi in specific ways. Buddhist siddhi healing practitioners cultivate shen by strengthening concentration, feeling awareness, powers of perception, attention, and intention. Skillfully developed shen also allows a practitioner to connect to the vastly greater energies of Life Force, which is the real healer. It is not life that is changed, rather it is awareness within the mind. Error: Error validating access token: Session has expired on Saturday, 16-Feb-19 13:36:34 PST. The current time is Saturday, 20-Apr-19 13:09:52 PDT.